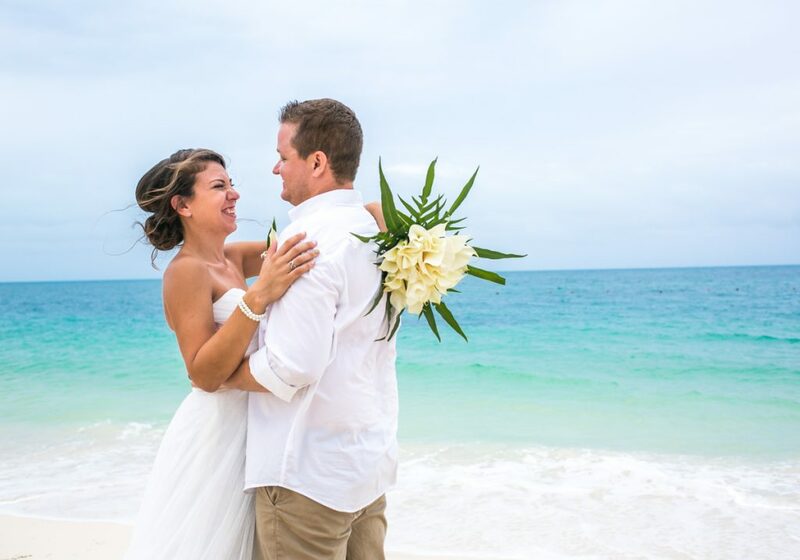 Megan & Brandon are Fun In The Sun Weddings’ newest Newlyweds! There’s is a love story so completely anti-fairytale that it proves true love can come from the most unexpected places. When Megan and Brandon first met, they were not interested in each other at all. They were just two very different kinds of people. It wasn’t until years later that they reconnected at a party and then an even further few months after that when Brandon finally asked Megan out on a date. And that date was an epic disaster! Megan was exhausted, their dinner was awful, and then she completely slept through a terribly boring movie in an understandably deserted theatre. Yet, somehow this bride and groom have been together ever since. And their favorite date night now is going to the movies! 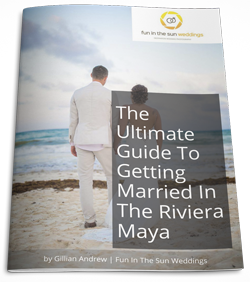 Brandon got down on one knee and made the perfect proposal to Megan on the beach in Jamaica, and they figured they should complete the celebration by getting married on the beach in the Riviera Maya of Mexico. 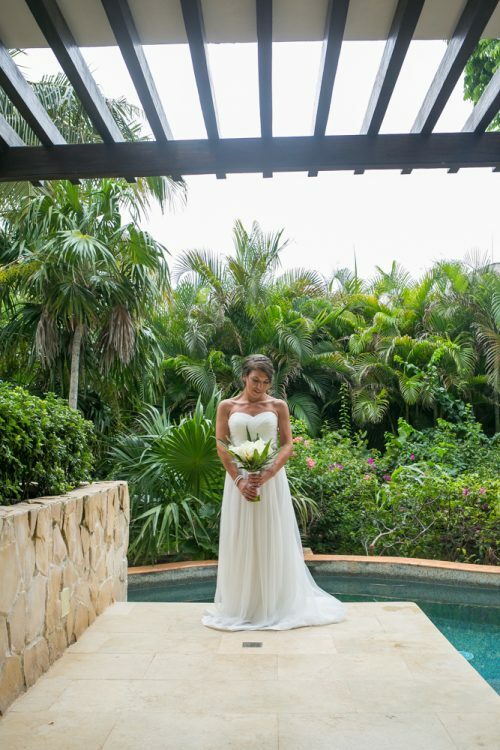 Megan’s beach wedding dress was from David’s Bridal. Her Mom picked it out, and Megan didn’t even want to try it on. But to be respectful, she did…and she absolutely loved it! 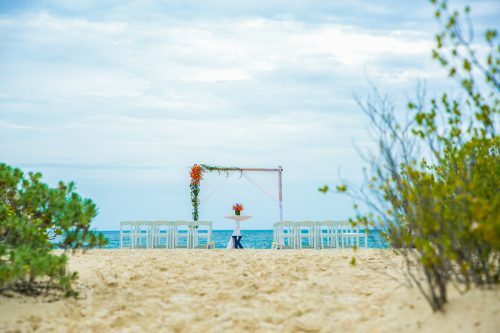 On their wedding day at Secrets Playa Mujeres, the bride and groom woke to a RAINY wedding day. It rained hard all the way up until an hour before their ceremony. But thankfully, Mother Nature cooperated, and they were able to get married on the beach like they had dreamed of. Megan’s advice for all the Brides-To-Be getting married on the beach? 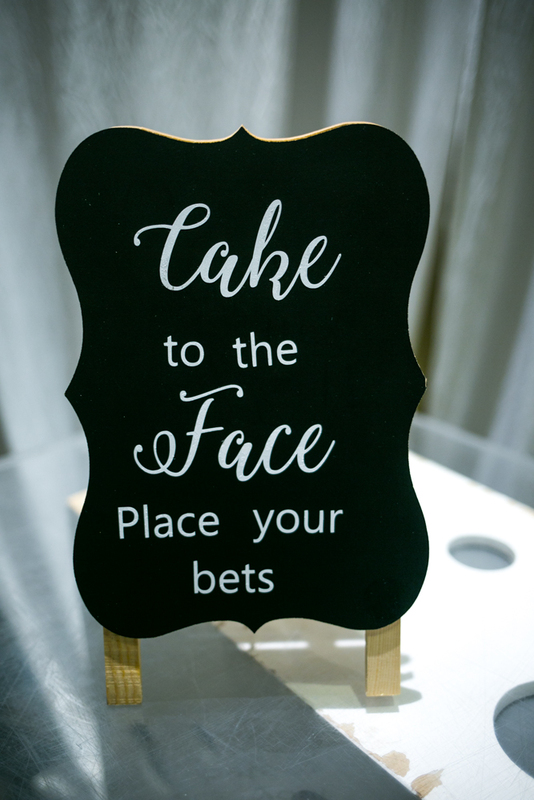 Try hard not to worry about what you cannot control, and you can’t please every wedding guest, so don’t try. What will be, will be. Megan and Brandon, we love that you persevered through your rocky beginnings to find your happily ever after. We wish you smooth sailing and all the best things in life in this new chapter as husband and wife. Congratulations! 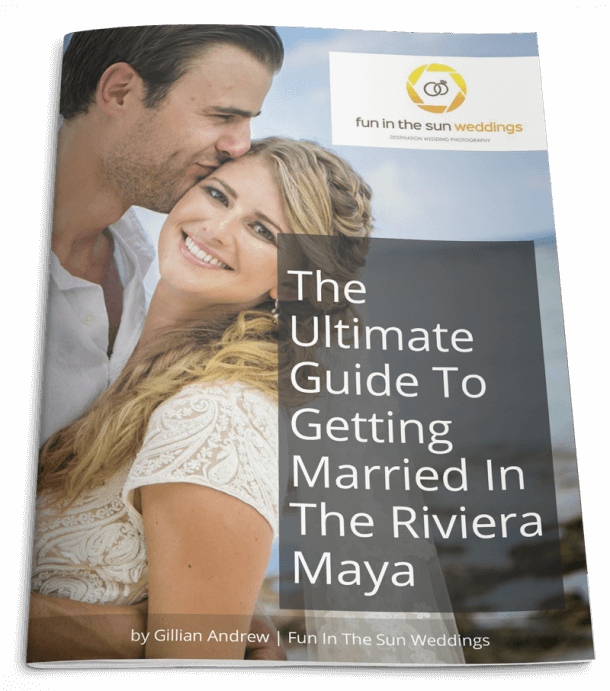 Want to know about Secrets Playa Mujeres? Read unbiased reviews on Tripadvisor here.